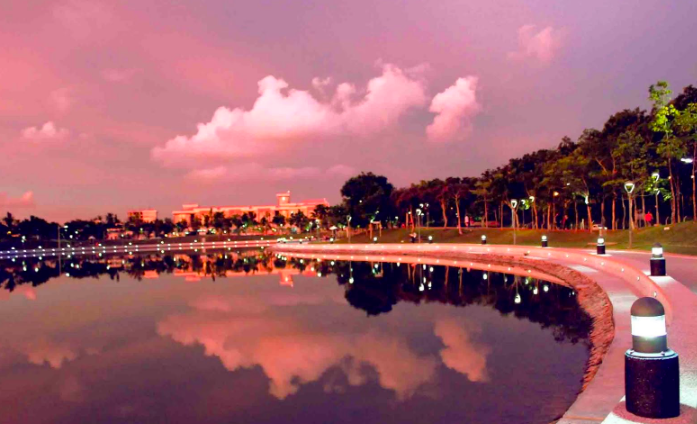 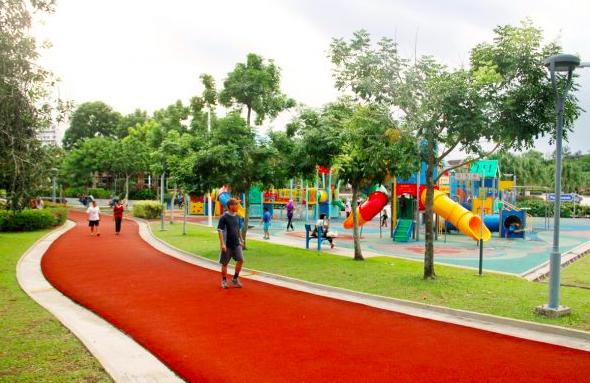 Tanjung Aru Perdana Park | JustRunLah! 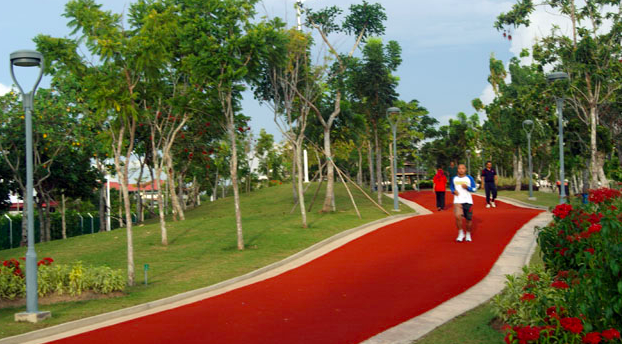 An approximately 2km jogging track with a soft surface and mild inclines and declines. 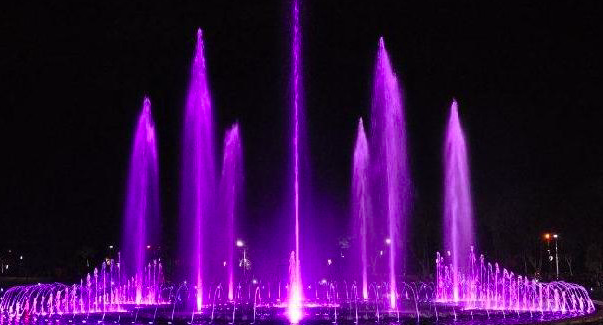 A very popular park with a musical fountain. 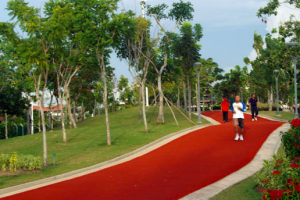 This place is really safe for running as it is fenced up with guards.